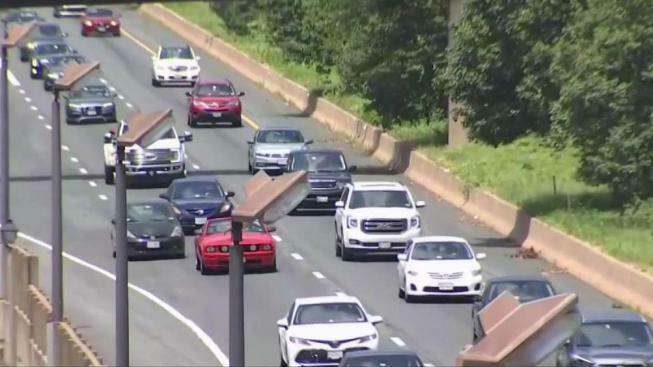 Paying tolls to get around in traffic is something commuters in Northern Virginia know all too well -- and now lawmakers are discussing adding more tolls on Interstate 66. Currently, tolls on I-66 are only for inbound lanes in the morning rush and outbound lanes in the evening rush inside the Beltway. Those tolls have gone sky-high, reaching as much as nearly $50 for a one-way trip. "It’s expensive. It’s a ripoff. In my mind, that’s a ripoff,” said driver Issam Bennbarek. Lawmakers are considering putting tolls on both inbound and outbound sections of the road during rush hours. Virginia Transportation Secretary Shannon Valentine told News4 recently the state's ultimate goal in tolling all lanes during rush hour is to keep the road moving. "Yes, it’s an objective of ours to try to keep costs down as we find ways to try to move more people,” Valentine said. But drivers News4 interviewed were adamantly against any extra tolls. “Absolutely not. Period. Paragraph," Peter Danton said. ”Only the rich can afford to drive on 66,” Bennbarek said. VDOT has released new data that shows rush hour speeds have increased during rolling hours because of the I-66 tolling.